Everybody knows that to drink an excessive amount of alcohol on a regular basis is not exactly beneficial for body and mind alike. Nevertheless, the vast majority of people assume that when it comes to the damaging effects of alcohol and the way in which cutting down can be beneficial, it’s only those with serious and extensive alcohol dependencies who really need to take notes. In fact, the experts at Dry Out Now suggest that it’s comparatively rare that any individual without an advanced alcohol consumption habit to genuinely consider how they themselves and their families could benefit, if they were to cut down even modestly. Whichever way you look at it, cutting back on drinking habits will always bring about positive effects for the whole family. So even if it’s a case of not doing it entirely for yourself, why not think about cutting down for the sake of those closest to you? Seriously – have you ever taken the time to honestly think about how cutting down on alcohol could positively benefit your kids? Even if you’re nowhere near full-blow dependency level and are a genuinely fantastic parent in general, there are still so many ways in which your kids could benefit from you taking things down at least a little. To drink less alcohol is to both spend less time intoxicated and hungover. The more time you are tipsy or hungover, the less genuine quality time you can spend with your children and the lower the quality of your interactions with them. Communication with the family in general is rendered entirely less effective and more difficult when and where alcohol is involved, both at the time of consumption and during the inevitable recovery. You may not be aware of it, but the likelihood of conflict and confrontation between you and your spouse accelerates enormously when and where alcohol is involved. Not only this, but elevated alcohol consumption also increases the likelihood of arguments and disputes in front of your kids. To cut down on alcohol is to decrease the negative impact the drug has on your physical health, in turn invigorating and energising you more effectively on a daily basis. And the more energy and vitality you have, the more you can fully dedicate yourself to your kids and all manner of fun activities. Alcohol never fails to affect plans and in many cases make it impossible to go through with things you may have planned with the family. From cancelled day outs to failing to make the very best of the decent weather outside, alcohol really can put a crimp on family fun. And of course, it’s worth remembering that every single penny you spend on alcohol could be put to one side and used to pay for something the entire family can both enjoy and benefit from. So it’s pretty safe to say that it’s even in the instance of an individual who doesn’t exactly drink to excess, there are still so many family benefits to be taken from modestly cutting down on alcohol consumption. But at the same time, it’s also worth realistically considering the way in which a moderate cut-down would benefit you personally, both immediately and for the long-term. First of all, there really can’t be many people out there who would deny that hangovers are in every respect the essence of pure evil. The less you drink, the fewer hangovers you suffer and the better you feel each and every morning. And it’s not a case of simply feeling better in the mornings either, as to cut down on alcohol is to give your body the kind of health injection that brings an all-new sense of vitality and energy to the day as a whole. Whatever it is you plan to do, you’ll do it better and have more fun doing it. To cut down on alcohol, even slightly is to not only benefit from a significant improvement to your day to day moods, but to also dramatically reduce your likelihood of developing a wide variety of rather terrifying health problems. From high blood pressure to cancer to heart disease and so on, it’s a little change in your life that adds up to a big difference. Last but not least, it’s once again worth considering exactly how much money you have spent on alcohol over the last few years or so, in order to then think about the infinitely better and more enjoyable things you could have spent it on. 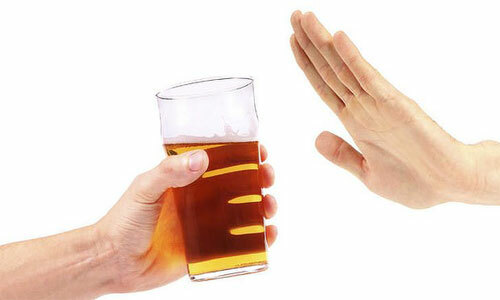 Suffice to say, cutting down on alcohol represents one small change in your life you’ll never regret making.